In this astrological report, we provide personalized horoscope analysis and predictions for the next 6 years of your life. This report is prepared manually by Astrologer Vinayak Bhatt which will be emailed to you. This package includes personalized horoscope analysis with Dasha wise predictions of next 6 years along with answers to a couple of specific questions and remedies recommendations. You can ask questions in relation to native’s career, health, finance, marital life or any other spheres of native’s life which will be answered by the astrologer in the PDF report. Only 1 individual’s horoscope is allowed in this PDF report. PDF report will be emailed to you in 12-15 working days along with the birth charts. I enjoy the experience of consulting with astrologers to get a hint of how the future and coming months are going to be. I have tried the Astrologer Vinayak Bhatt few time for astrology consulting and his predictions seems to working okay for me. Nice experience with him till now. Vinayak Bhatt ji…is authentic astrologer whose predictions are accurate and having vast knowledge about Vedic astrology…people looking for genuine and authentic astrologer can approach him…. i consulted him for my brother’s marriage, really satisfied with his predictions and remedies. Thanks for helping me and my brother. 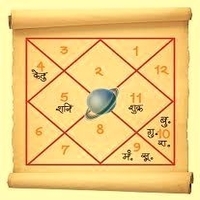 Astrology has a capability of healing or curing an individual spiritually, which can help many in various ways. But surely will provide us positive vibes and help us face the situation. It’s my great pleasure to recommend VedicGrace Foundation one of the leading astrological service provider. I first came to know them through a random search on the internet. Astrologer Vinayak Bhatt is associated with the organization. According to my personal experience I can say that has very good knowledge about astrology & has a deep and detailed knowledge of his subject. He is consistent, reliable and accurate. He is famous and internationally acclaimed Spiritual Astrologer and VedicGrace headquartered in Noida providing consultations around the world. I have consulted him for my life complications and got the perfect solutions along with remedies. I was explained what was wrong and what made me end up in a mess. I am very satisfied to know certain things about myself very clearly helping me to take my future steps, accordingly I was also explained about VedicGrace Foundation’s missions, which are namely to promote Vedic services to one and all and revival of Vedic literatures and scriptures. They are providing various exclusive services which are various remedial programs which will be very helpful to everyone. His predictions and remedies are very genuine and accurate. He is a specialist in Birthdate rectification, Marriage and love compatibility, Finance, Health, Career prediction along with Kundali matching Every person who so ever approaches them are always satisfied and happy with the accurate predictions and the finest remedies. Vinayak Bhatt is addressed as a super mind astrologer and a Spiritual healer. I would like others to also consult VedicGrace Foundation to get a clear picture and get rid of false hopes.